The name engraved in a star of Hollywood’s Walk of Fame and a proud owner of the golden girl, Academy Award –this is Norma Shearer for us! Born on August 10, 1902 –there are some arguments regarding the year of her birth –Shearer entered the film industry in 1919 and remained active till 1942. The beginning of her career was the Silent Era of the Hollywood. Shearer, with her grace and elegance, became the apple of the camera’s eye. Shearer shone in the spotlight. She had that quality in her which left her fans in her trance. She was magnificent and brilliant. Even after more than a century, critics extolled Shearer’s work to great extent. However, as it is called, no pain no gain; Shearer also struggled very hard to make her name in the industry. In 1919, Shearer along with her friends went to New York in pursuit of her dreams. With all her beauty and grace, Shearer had her Achilles’ heel, her slightly cross eyes. She was prone to more hardships because of the slight flaw in her eyes. However, the stream of grit flowing inside her didn’t let her embrace the defeat. She searched for the work; she auditioned for the roles of extra. At times, with her wit and instincts, Shearer grabbed the role of extra girl. Shearer knew one thing –hard work. She performed her part well hoping that she would get noticed by some known producer and director. She wanted to reach her goal –the stardom. At the starting of her career she was told that her short height, thick legs, and cross eyes, will be detrimental to her career as an actor and that she would not make it in the industry. Determined, Shearer fought with her fate bravely. She spent her savings in getting a surgery, which didn’t help much however, she did regular exercise for her eye and calculated that from which angle did her eyes look less flawed. Shearer tried her luck in modeling and there she managed to get some success. After hard years in New York, Shearer was finally able to land a role in B-movie titled, The Stealers. There, Irving Thalberg, MGM head of production, who later married Shearer in 1927, had his eyes on her and he offered her, her first break and gave her a studio contract. And that’s how Norma Shearer’s career began. Aware of her physical flaws, Shearer worked on the camera techniques so that her flaws her subsided on the big screen. She refused to get filmed from any unflattering angle. She wore long skirts to hide her thick legs. She also learnt, tricks from photographers, to make her eyes looked less flawed. Shearer didn’t have to do a lot of hard work to make herself presentable, her natural charisma and her grace stole the limelight. In silent films, she used to enthralled the audience with her expressions and arms movement. Shearer shone in every film she acted in. Her acclaimed silent movies included, He Who Gets Slapped, Lady of the Night, Upstage, The Student Prince in Old Heidelberg, The Tower of Lies, among others. Her first ‘talkie’, the non-silent, movie was, The Trial of Mary Dugan. She was widely acclaimed and was an instant hit. Four years later her movie, The Divorcee, gave her the honor of winning an Academy Award, Shearer was nominated five times for Oscar after that. She worked in Thalberg’s prestigious projects: The Barretts of Wimpole Street and Romeo and Juliet. In 1936, after the death of her husband, Thalberg, Shearer wanted to retire but she reluctantly signed contract with MGM. In 1942, Shearer retired from acting, in the same year, she got married to a ski instructor, 11 years younger than her, Martin Arrouge. 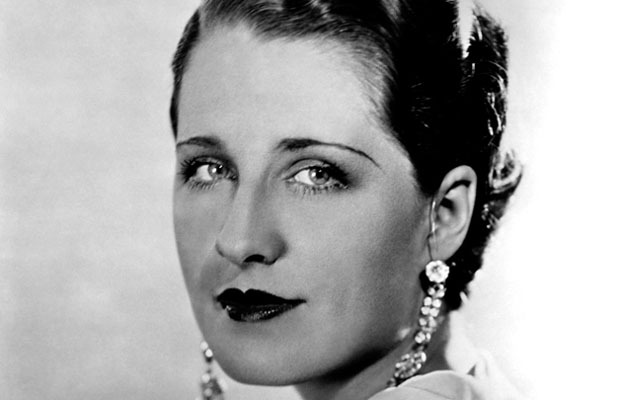 Norma Shearer hard work and persistency had taken her to the highest level of success. She shuffled off her mortal coils, in the year 1983. Shearer’s image has been imprinted in the hearts of her fans and she will be remembered forever.